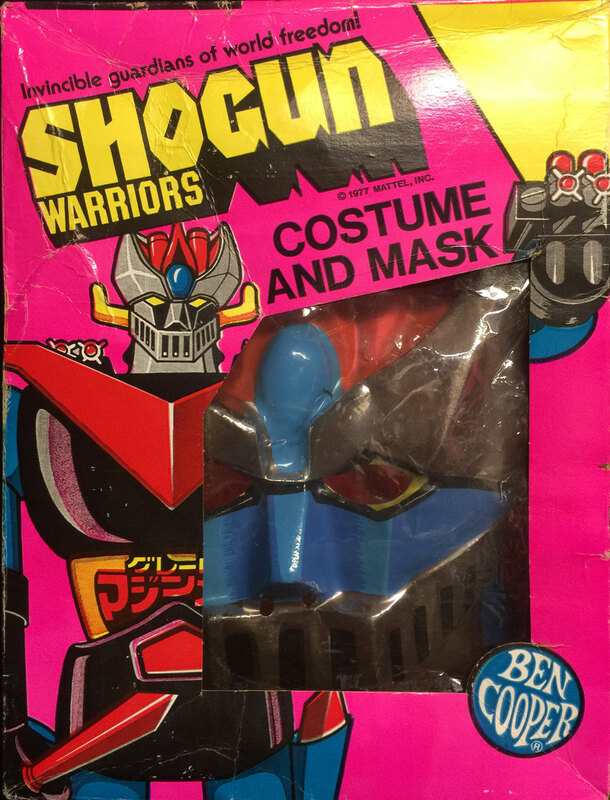 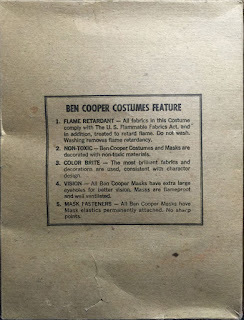 The Shogun Warriors Costume and Mask was produced by Ben Cooper in 1977 and licensed from Mattel. The costume is of Mazinga, with "Shogun Warrior" instead of the katakana of Mazinger above the belt line. 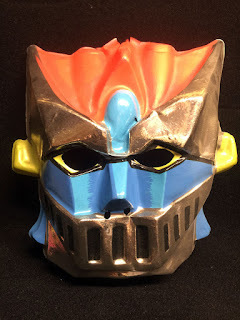 The mask is made of cheap vacu-form plastic in a metalized-silver with red, yellow and blue screen-printed over it. 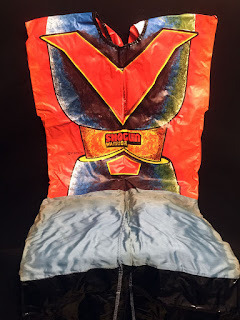 The costume is made of vinyl and synthetic cloth in several colors. 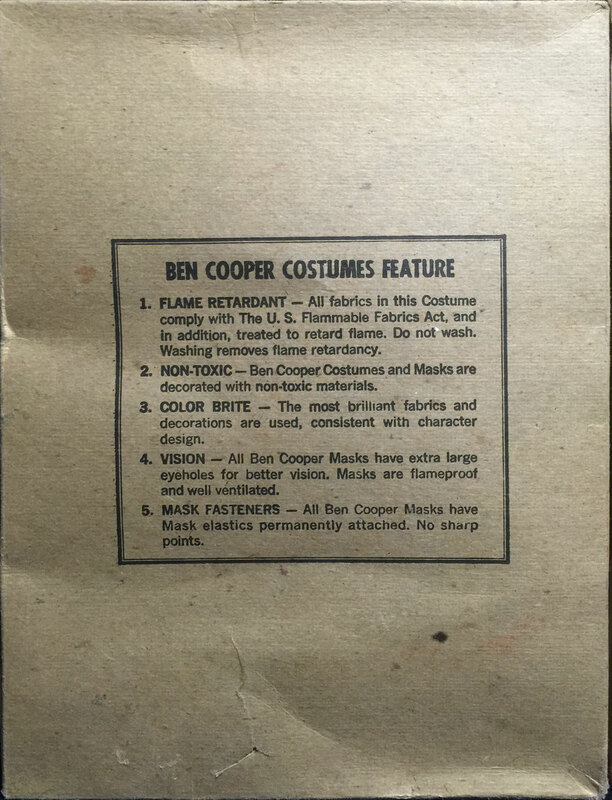 Note the images of the box side and box end below. I once received an e-mail from a guy who had this costume as a child along with some role-playing items such as swords and the like.